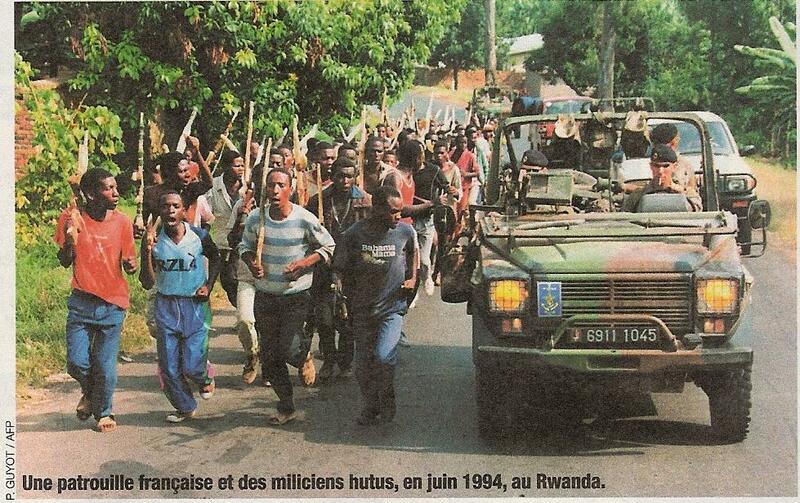 Rwandan Soldier Trainees. 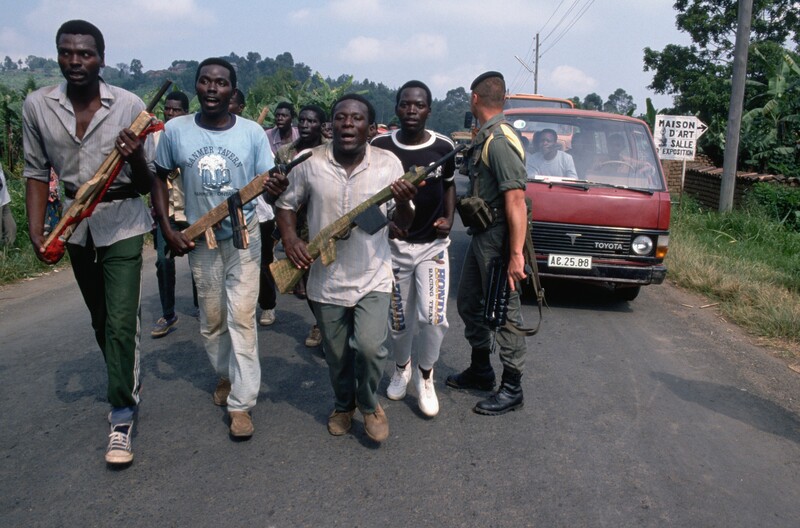 A group of Rwandan recruits carrying model rifles march down a road. 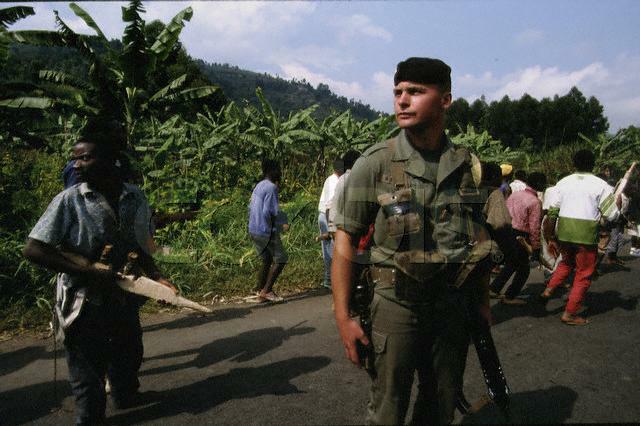 Soldier Walking Past Militia. 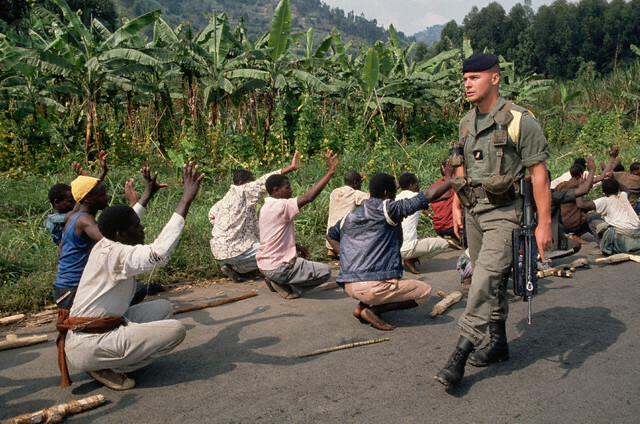 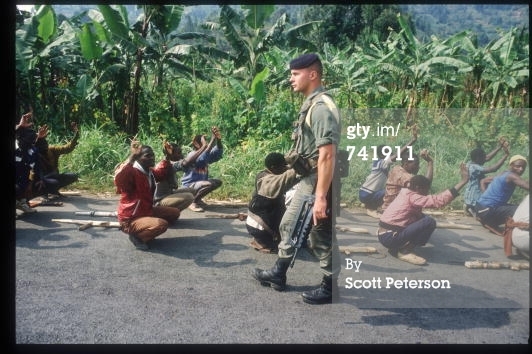 While a French soldier on patrol walks past, a group of Hutu militia men trains. 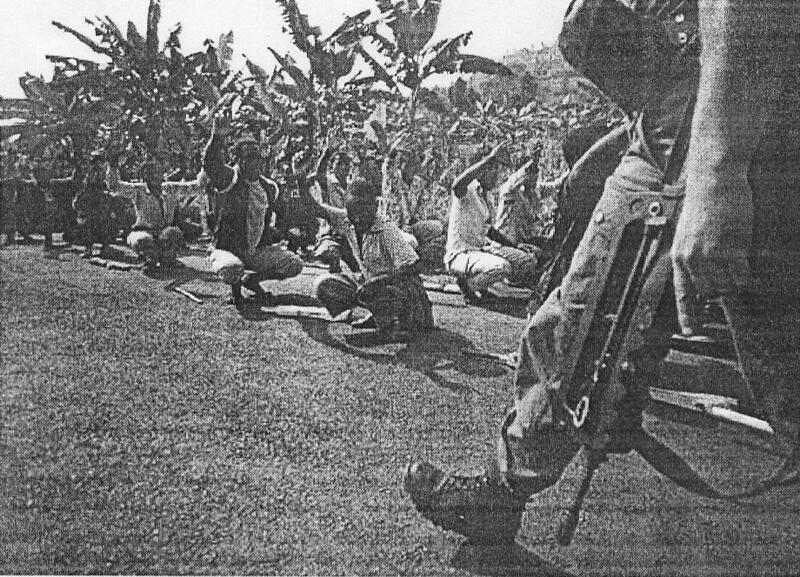 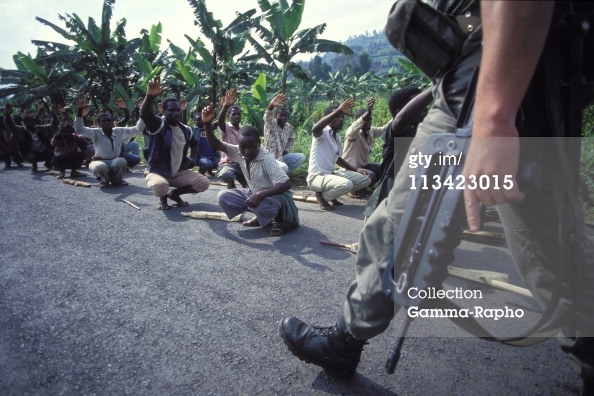 Training Of Young Rwandan Hutu On The Road To Kigali On June 27Th, 1994. 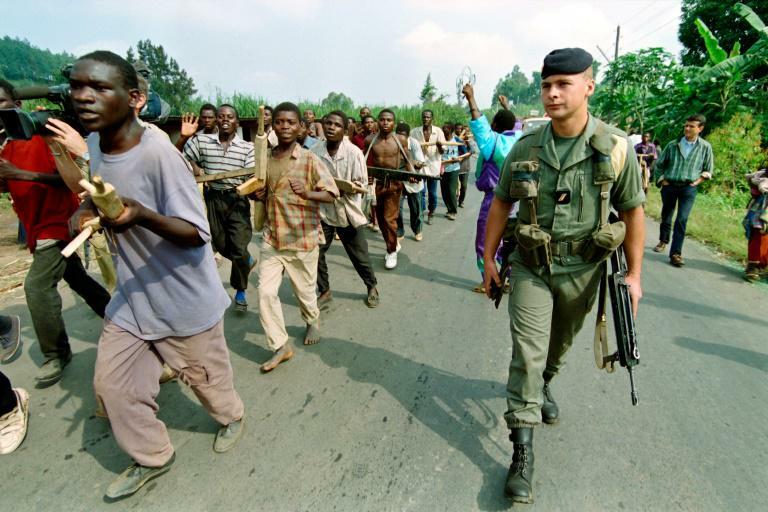 Hutu volunteer soldiers, anxious and often intoxicated, undergo military training in ordre profond and in marching in formation equipped with mock weapons made of wood, while a French soldier improvises so to regulate traffic and allow us to continue our journey towards the eastern interior of the country. 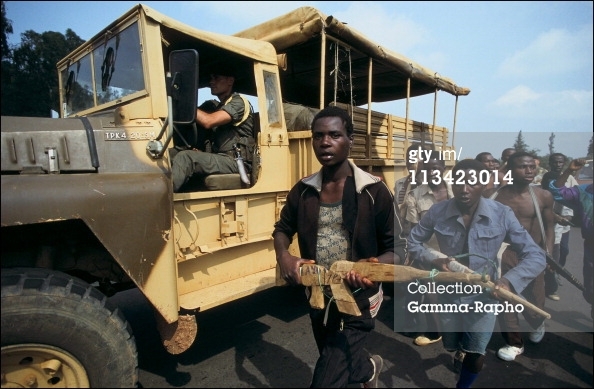 The whole of this series of images takes place along the route between Gisenyi and Ruhengeri, in Rwanda. 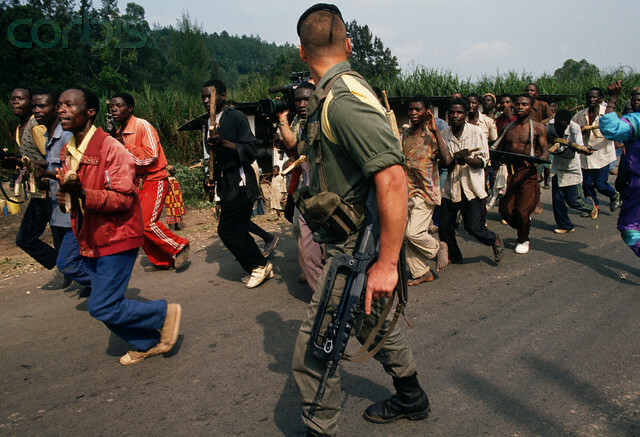 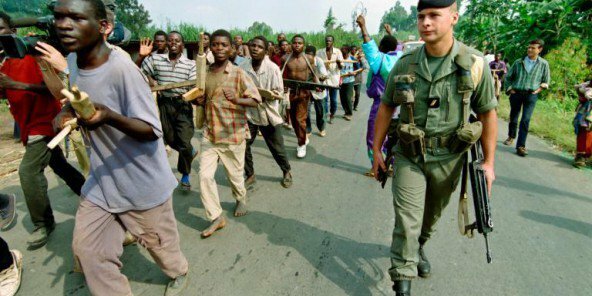 Rwandan forces, primarily Hutu, paraded the length of the route. 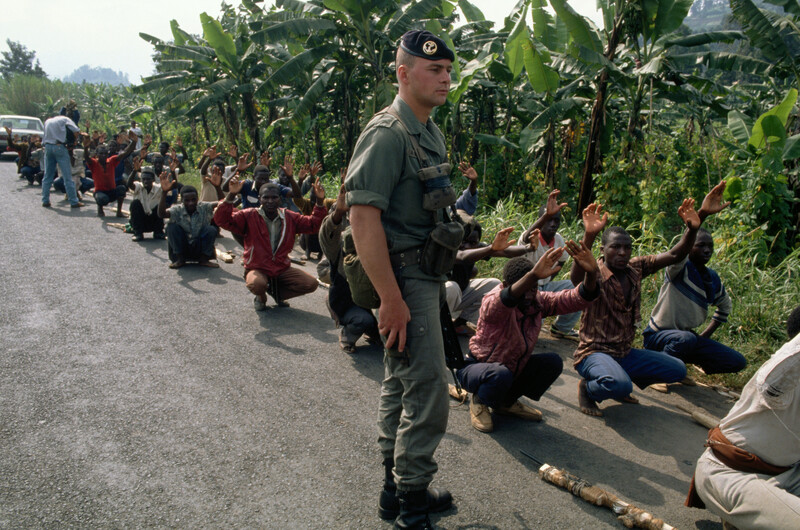 French Special Forces, the Commandement des Operations Speciales (Special Operations Command, COS), having recently arrived via Zaire, were tasked with reconnaissance in this same territory. 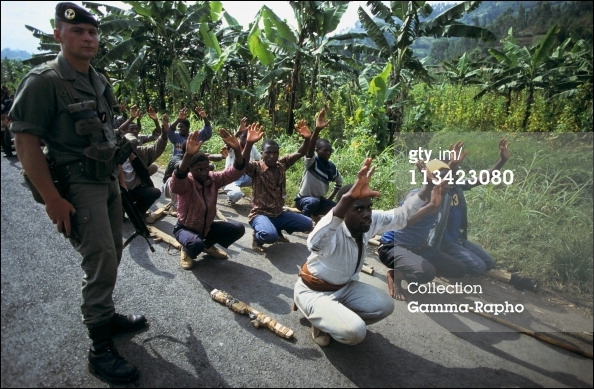 Any encounters with the Rwandan forces were unintended. 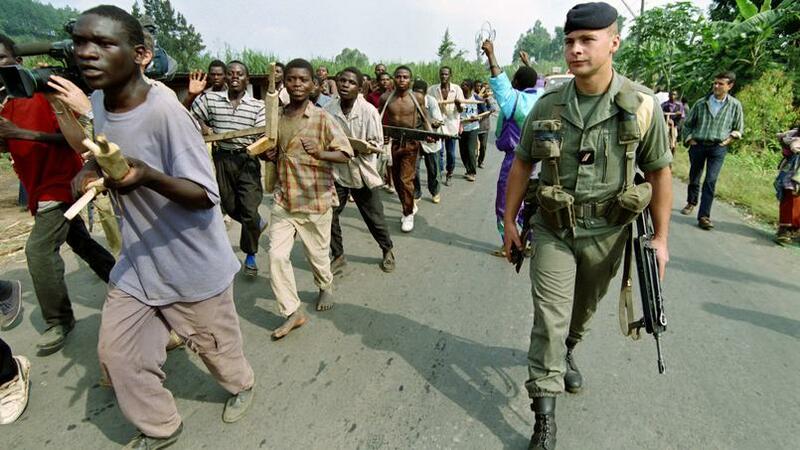 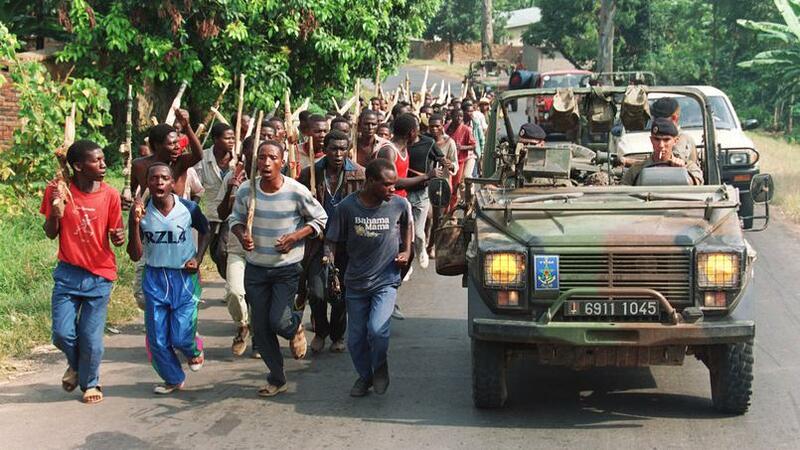 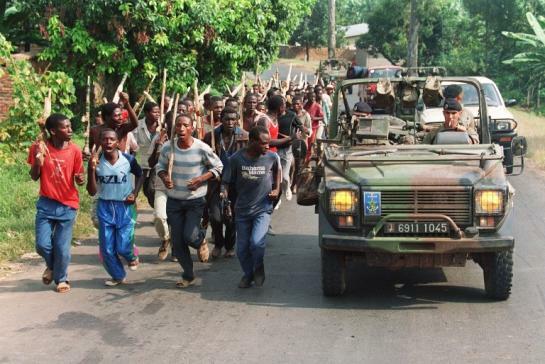 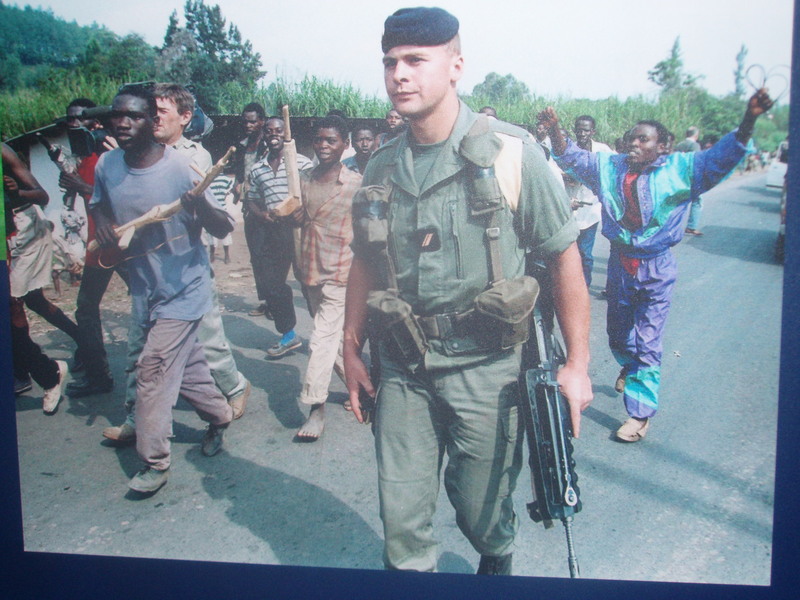 Une colonne de soldats français remonte un groupe de miliciens hutus pro-gouvernementaux, le 27 juin 1994, près de Gysenyie, à 10 km de la frontière avec le Zaïre.